1. Good morning. 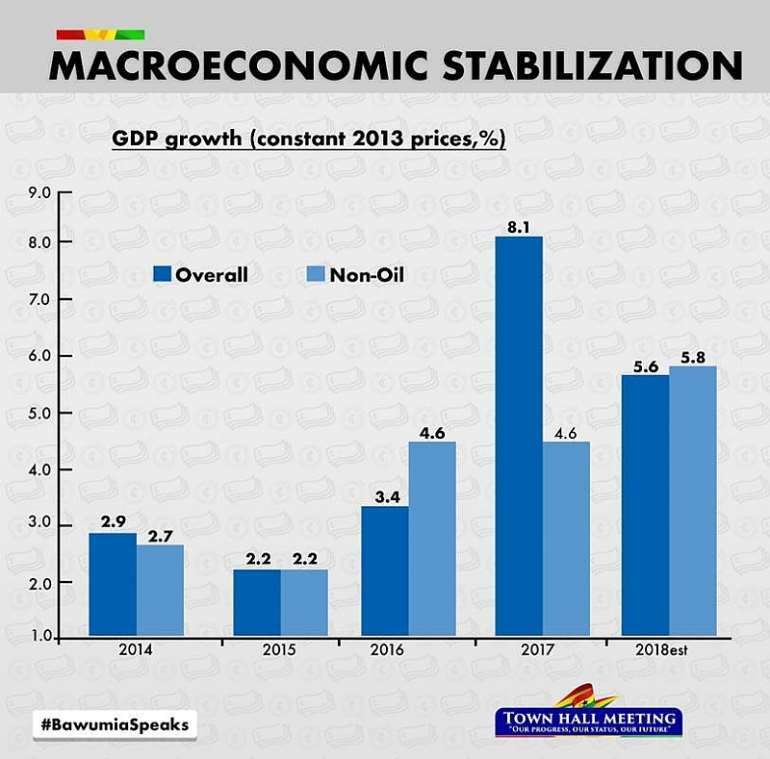 It is a pleasure to have the opportunity to share with you some progress on the state of our economy after two years in government during which we have been implementing the policies that Ghanaians voted for. 2. This occasion also provides the Economic Management Team (EMT) an opportunity to interact with the public and to answer questions on the economy. 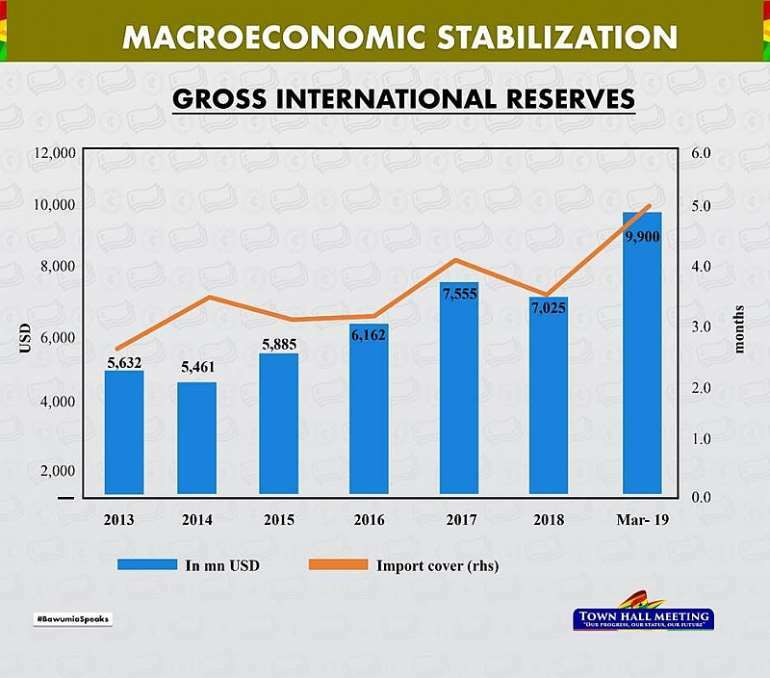 The timing of this interaction is also important because it was only yesterday (April 2nd) that Ghana formally and successfully completed the IMF programme that we inherited when we assumed office in 2017. 3. On behalf of members of the EMT, I present to you our progress, where we are and the way forward. 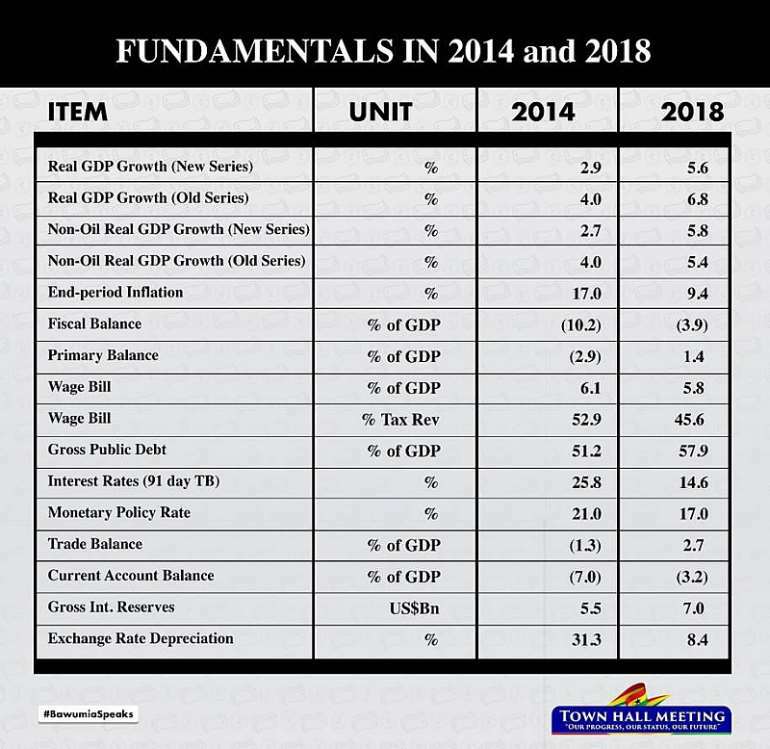 Our presentation today as always, is based on an analysis of the data and facts. The data will speak for itself. If you disagree, then you should bring your own data and record but don’t disagree by saying that EMT members have big heads. You only resort to insults when you are allergic to the facts. 4. 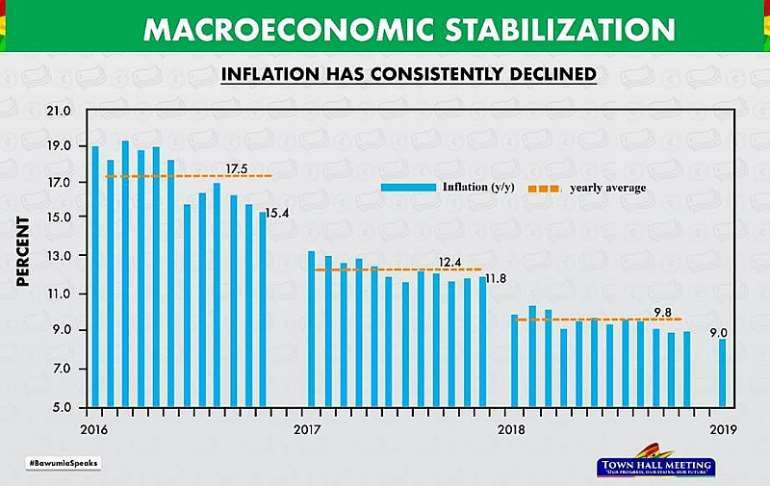 First, let me recall briefly the state of the economy we inherited and how far we have come since 2016. 5. 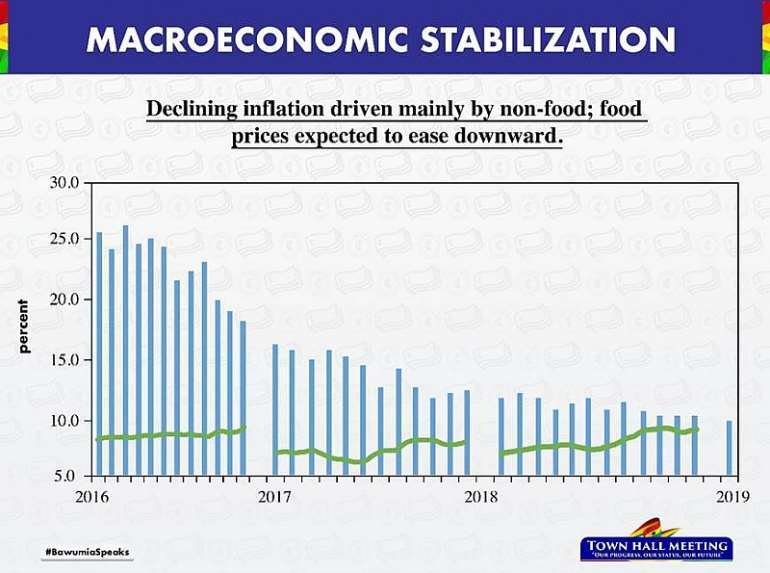 At the heart of Ghana’s recurrent economic difficulties has been the management of public finances, especially during election years and the challenges in cleaning up the post-election fiscal mess. 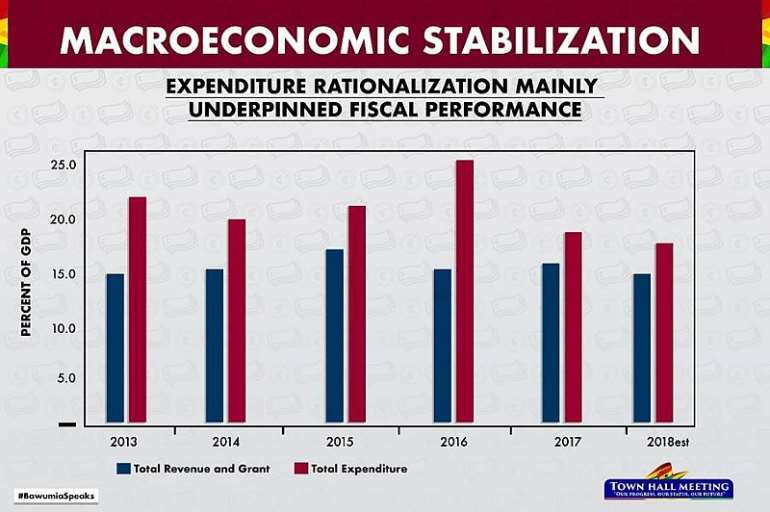 Our public financial management and our fiscal excesses, particularly in the run-up to the 2012 elections was very damaging to our prospects of managing an economy that is trying to climb up the middle income ladder. 6. 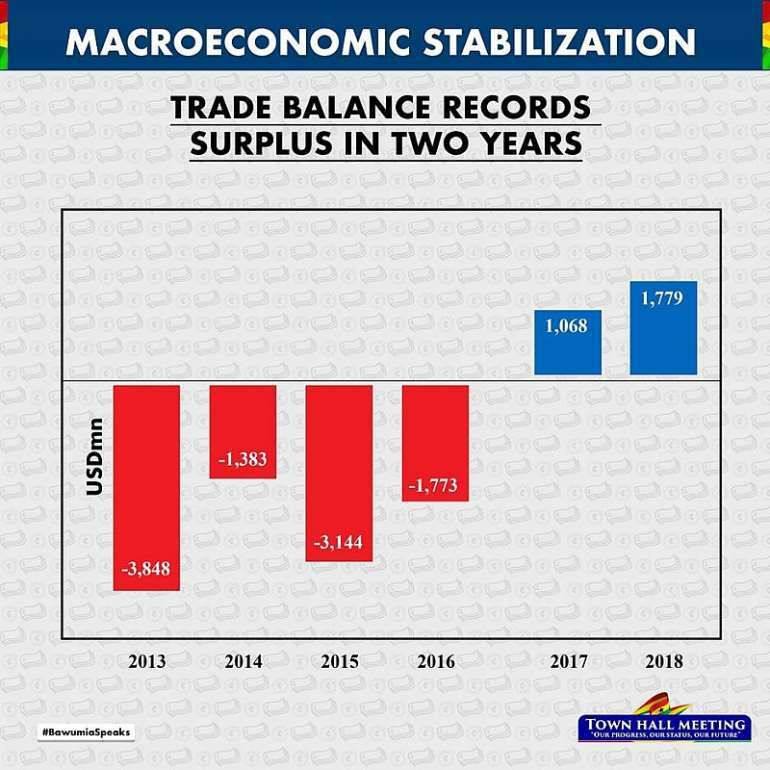 The economy ended in 2012 with a fiscal deficit of 12.2% of GDP, 11.7% in 2013, 11.9% in 2014 before falling to 6.7% in 2015, but rose again to 9.3% in 2016. 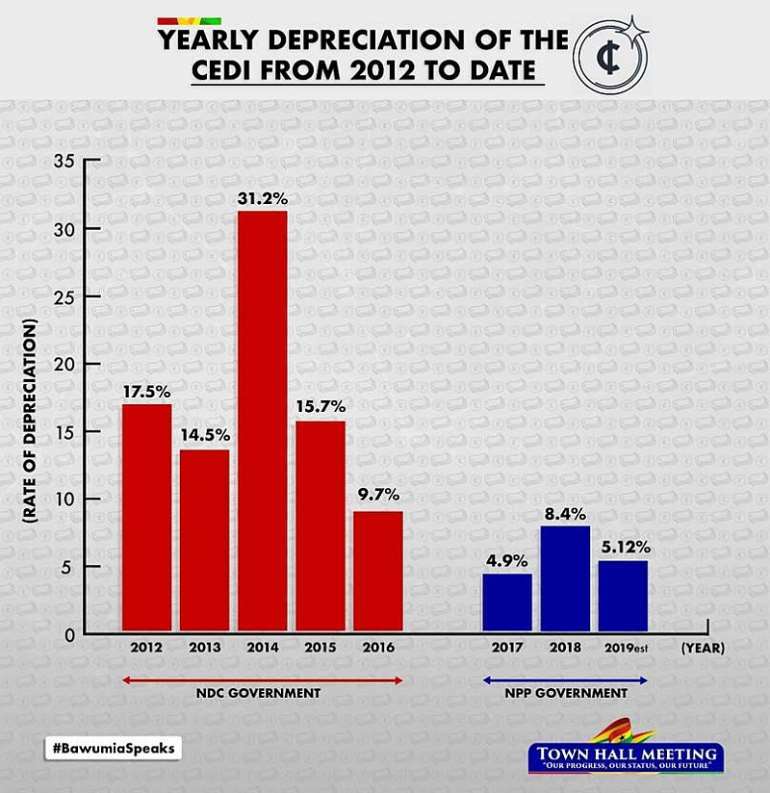 We recorded for the first time in Ghana’s history double digit fiscal deficits in three consecutive years and plunged into a deep fiscal hole. 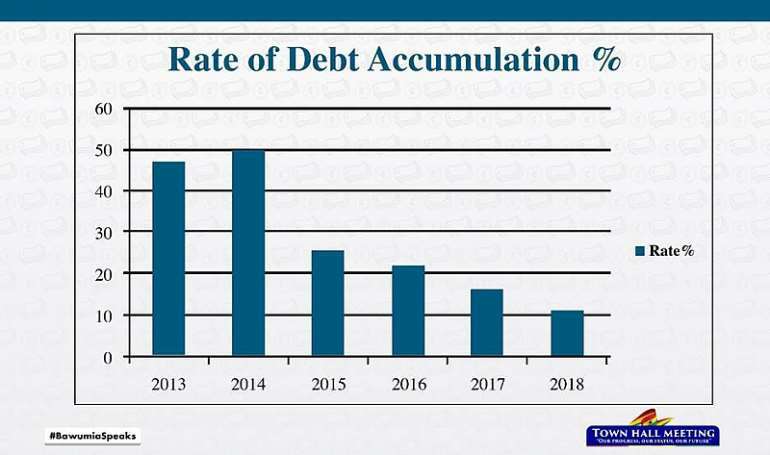 Debt pile up begun, debt service became burdensome on the budget, inflation soared, external trade balances worsened and the economy became more and more vulnerable to external shocks. 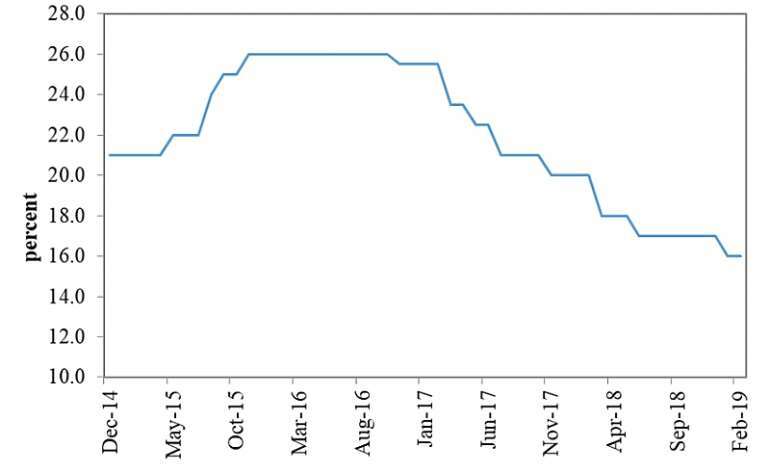 Source: GSS and IMF, WEO Database 2019. 20. The efficiency in expenditure management has come from the prioritizing and re-allocation of spending to areas most needed. 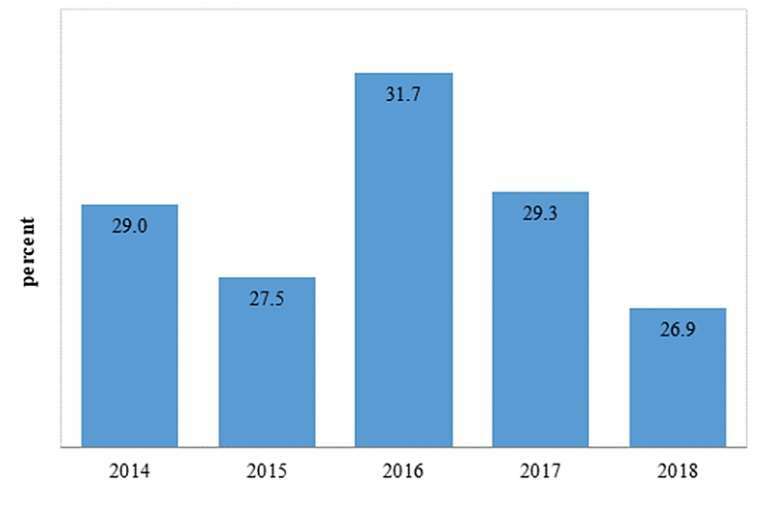 Fiscal deficit (on cash basis) has significantly fallen from 6.8% of rebased GDP in 2016 to an estimated 3.8% in 2018 (Figures 7 and 8a). 24. 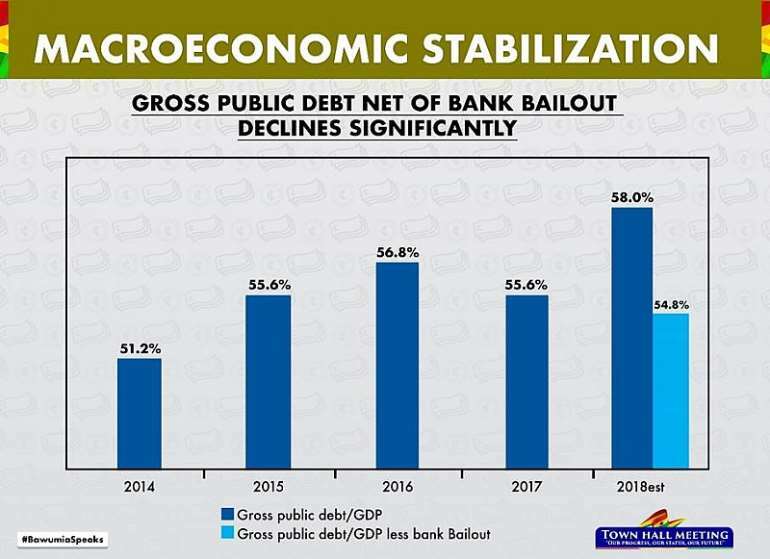 Total public debt as percent of GDP slowed to 54.8 percent in 2018, creating room for government to accommodate the painful but very necessary banking sector reforms which cost government close to 3.2% of GDP (figure 9). · A $1.5 billion GETFUND financing has been arranged for educational infrastructure, especially in 400 school blocks and dormitories. · We have doubled the Capitation Grant (From GH¢4.5 to GH¢10) and expanded school feeding to cover additional 500,000 children. · The Nation Builders Corps (NABCO) of 100,000 graduates is a step in building the job skills of our graduates to be absorbed into the workforce. · The available data shows that recruitment and financial clearances for the security services, Education, Health, Forestry, YEA, and NABCO, over the last two years amount to over 350,000 jobs. This is just for these specific sectors. 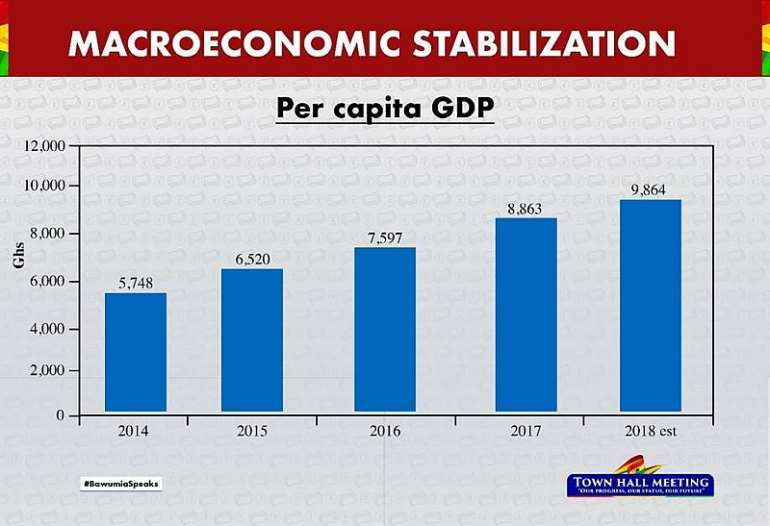 · Because of the expansion of the economy and better payroll management, the wages and salaries as a percentage of GDP has declined from 7.2% of GDP in 2016 to 5.8% of GDP in 2018. With the economy growing, the private sector is also adding jobs. · Medical delivery by drones to get delivery of critical medicines and blood to hospitals and clinics in hard to reach areas will be starting in three weeks. · We have increased the share of the DACF to persons with disabilities from 2% to 3%. · We have also ensured the implementation of our pledge of employing 50% of the persons who manage the country’s toll booths from amongst Persons with Disabilities. · The LEAP empowerment has added 150,000 beneficiaries. · On pensions, in November 2017, Government transferred some GH¢3.1 billion of Tier 2 pension funds into the custodial accounts of the pension schemes of the labour unions, funds that had been outstanding since 2013, and about which the labour unions had been loudly complaining. This payment paved way for the implementation of the public sector occupational pension schemes. · We are empowering individuals and local communities. For the first time, Government in 2018 provided support to the Creative Arts Council, and the Creative Arts Masterclass, to build the capacity of Creative Arts practitioners. For example, the Eastern Regional Theatre has been completed, and work is currently ongoing towards the construction of the Kumasi theatre. · Under the National Entrepreneurship and Innovation Programme, 1,350 start-ups and small businesses have benefitted from a special government business support programme with beneficiaries receiving between GH¢10,000 and GH¢100,000 each, at a special interest rate of 10%. · Increased access to electricity and a reduction in tariffs of 17.5% for households and 30% for businesses have been beneficial. · We have established the Zongo Development Fund to finance infrastructure in our Zongo communities. · construction of 1,000 Ten-Seater Water Closet Institutional Toilets with Mechanized Boreholes, and bio digesters, which are disability friendly. · construction of 1,000 Community-based water systems with 10000 liters reservoir tank and a number of distribution points, with a capacity to serve over 2400 people per day. · construction of dams in the five northern regions, in fulfillment of the “One Village One Dam promise. · construction of 50 rural markets in some selected constituencies. · construction of 26 clinics to support healthcare delivery in some deprived communities. · provision of other infrastructure, including drainage systems, foot bridges, renovation of schools, community town centres, reshaping of roads, among others, as part of the assessed needs of constituencies. · To register a business, instead of filling four separate forms to start a business, only one form is now required. The Registrar General has merged all four starting-a-business application forms: TIN application, SSNIT application, Business Operating Permit application and Business Registration forms. · Automation of the construction permit system. A major relief to local contractors. · Even more remarkable is the implementation of an electronic justice system that allows the automated serving of court process with speed and ease. When fully operational, court documents will be easy to find and track, and there will be no duplication of the same case by heard in different court rooms by different judges. · Getting Electricity to your house has been reduced to 3 steps and should become paperless by end of this year. · The introduction of Paperless Port system has reduced the time to clear goods at the ports to less than 48 hours. · Planting for Food and Jobs to increase agricultural output for agro processing and food sufficiency. The results have been remarkable. 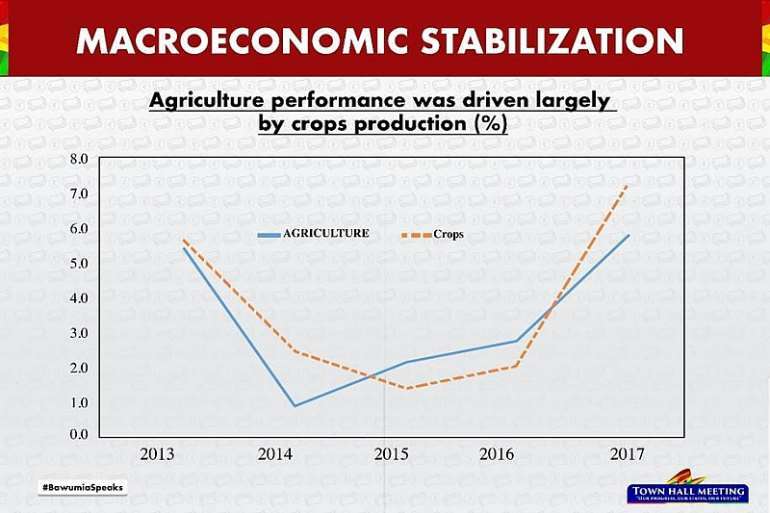 Increased in productivity and harvest in 2018 has led to exports of food crops such as cassava, rice, yellow and white maize, soya, plantain, cowpea and yam to Burkina Faso, Togo and Cote d’Ivoire. 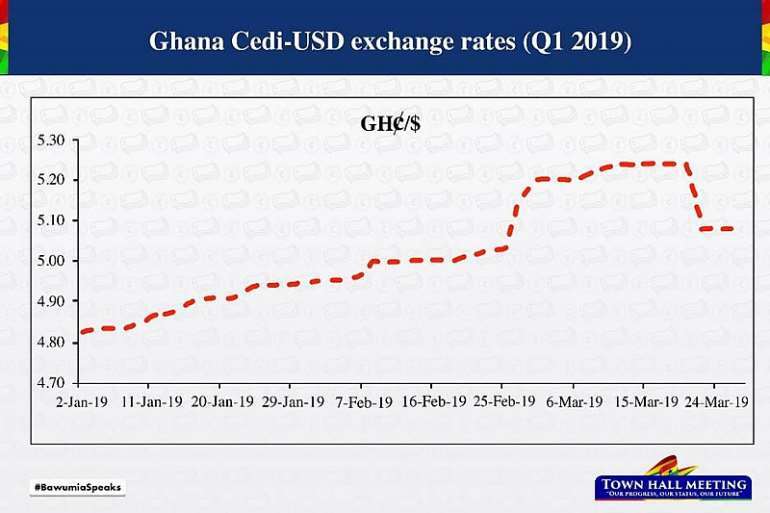 · The establishment of the Ghana Commodity Exchange (GCX), an ultra-modern trading system linked to warehouses located across the country, is to connect markets, and expand marketing and farm gate opportunities for buyers and sellers of agricultural produce. · The “One-District-One-Factory” policy has taken off, and 79 factories under the scheme are at various stages of operation or construction. Another 35 are going through credit appraisal. 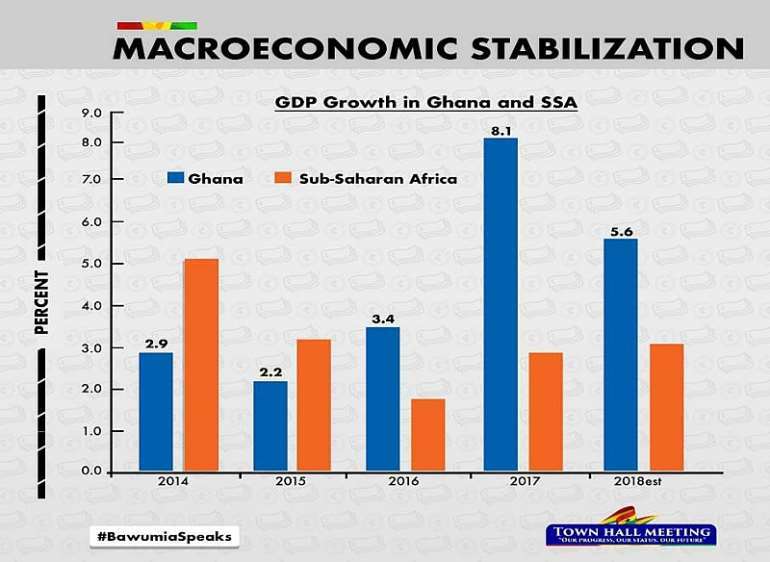 · Already established businesses are also receiving help, with an amount of GH¢230 million to be disbursed among sixteen (16) companies under the stimulus package. · The process of starting an Integrated Bauxite and Aluminum Industry is a major step in diversification and innovative in financing. 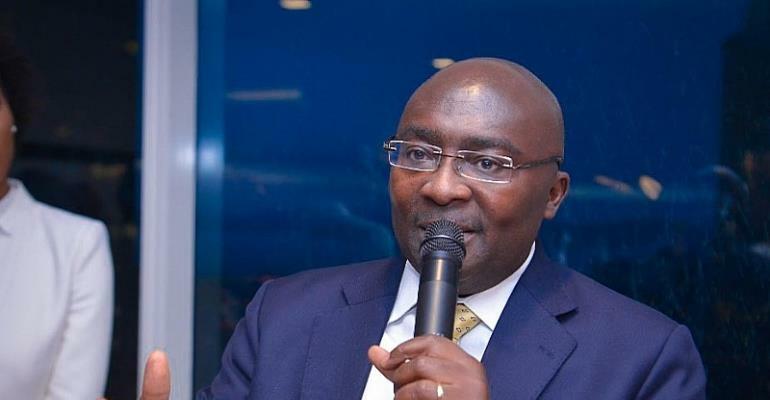 · The Ghana Integrated Iron and Steel Industry bill is before parliament and is expected to be passed into law hopefully before parliament rises. It is similar to the Integrated Aluminum industry law and will result in the establishment of the Ghana Iron and Steel Development Corporation to spearhead the process. · Even though we don’t have problems with power generation capacity, we have some problems with transmission. The GRIDCO network is old and it has been unable to invest in high capacity lines because of financial difficulties. · The takeover of ECG by PDS is expected to resolve the needed investments in our distribution sector. The Millennium Challenge Corporation (MCC) compact with the United States Government which called for a concessioning of ECG has been successfully completed and this will result in an injection of over $1 billion in investment in the power sector from the private concessionaire and MCC over the next five years. Ghana has also been selected for consideration for a third MCC compact with a regional focus. · Ghana has enough gas to power all our plants without relying on imported gas. Gas is also much cheaper than liquid fuel. This is why a policy decision has been taken to switch largely to the use of gas in energy generation. However, while most of our gas is in the West of Ghana, most of our power plants are in the East. The Ministry of Energy is therefore taking steps to remove the gas transportation bottlenecks, to ensure that Ghanaian gas can reach power plants located in the eastern part of the country. This will ensure that Ghana uses locally produced gas for the bulk of its thermal power generation, saving substantial amounts of foreign exchange on imported fuels. Ghana will save at least $300 million annually by switching from liquid fuel to gas according to World Bank estimates. · The West Africa Gas Pipeline supplies gas from East to West. The reverse flow project is to move the gas from West to East and construction began in September 2017. § Temporary By-Pass (Phase 1) has should be operational this month and will allow gas flow of 60mmscf. § Reverse flow phase 2 – an additional 55mmscf – should be completed between July and August. Once this is done, Ghana will not need imported gas in the foreseeable future. § Move of the Karpower plant to the West by August 2019 will increase the gas offtake in the West and balance the grid. · At the heart of the problems of the energy sector are the short collections by ECG (PDS). This leads to non-payments to service providers in the value chain (GRIDCO and IPPs). § Use of pre-paid smart meters is to be increased significantly by PDS to increase collections. § An interim distribution mechanism ( a cash waterfall mechanism) of the proceeds of collections by PDS has now been agreed with suppliers in the value chain. 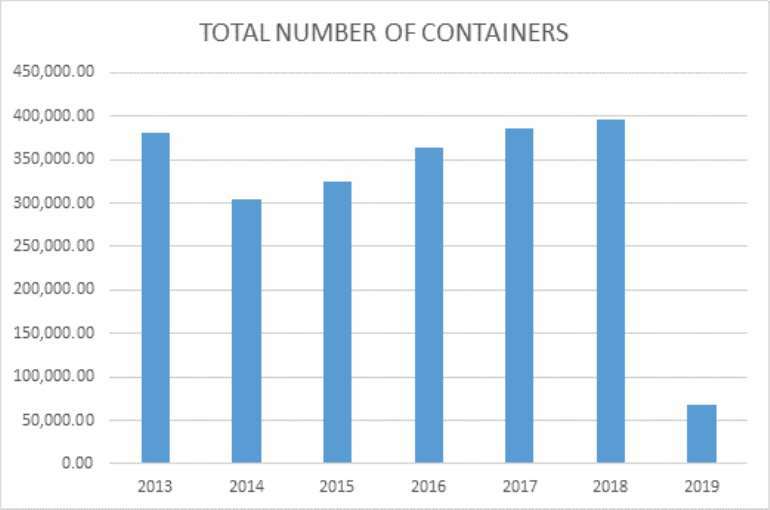 · Except for Nigeria ports, the total marine charges and security fees charged at Tema for container handling far exceed those of our key competitors—3 times the charges in Lome, nearly twice the charges in Abidjan. · No port in West Africa is charging the equivalent Ghana Maritime Security fee of nearly $20,000. · Import handling charges are higher in Tema than any port in West Africa. · While nearly 90% of containers that come to Tema are physically examined, only 5% are physically examined in most modern ports. Physical examination is a major source of corruption at the ports. Data shows that physical examination contributes less than 0.4% of additional revenue to the State. The time, unofficial facilitation fees and the energy spent in collecting this amount totally negates any gains this may have brought to government. · Many port charges are a percentage of the value of the goods and this makes them exorbitant and hardly justifiable. Why should the cost of scanning a container, vehicle examination fee, and network charge be a percentage of the value of the goods in the container? Why should the cost of processing the documentation covering imports be a percentage of the value of the imports when most modern ports are charging flat fees? · The benchmark values applied by Customs to various commodities in the computation of import duties in Tema are much higher than in Lome, Abidjan and Dakar. In many cases, more than 100%-200% higher. · Two years into the Planting for Food and Jobs and now for Exports, we have learnt a lot and we are optimistic. 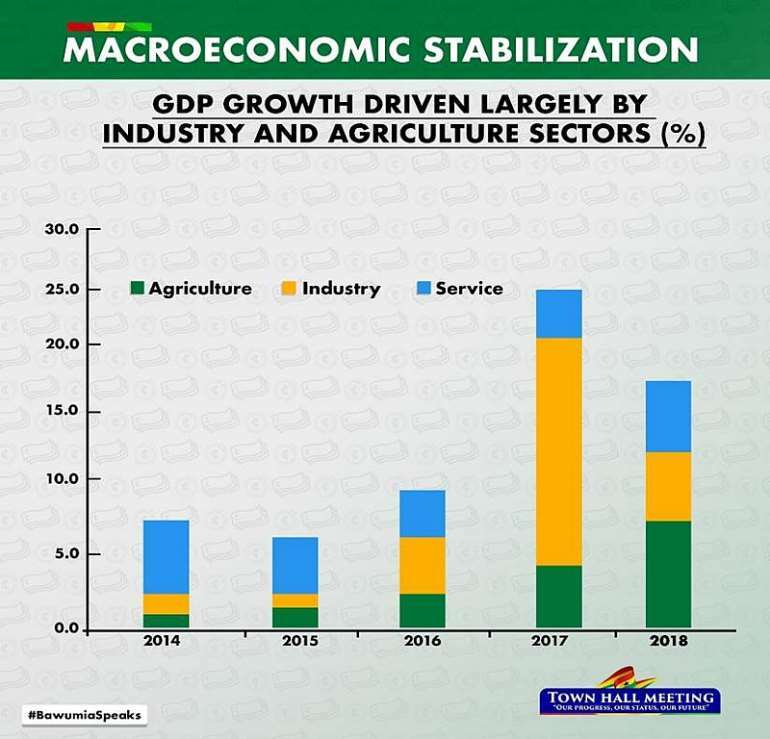 · Under the One District and One Factory and the stimulus package for businesses, industry growth is on the uptake. Gradual improvements in the Ease of Doing Business and the National Entrepreneurship and Innovation Programme are stimulating business start-ups. · The emerging automobile industry, the integrated bauxite and aluminium industry to be followed by iron and steel, petro-chemical and value addition processing are our pillars of diversification to change the structure of the economy. And we must train our young labour force to match these changes in the economy. · The pace of digitization that is currently underway will make Ghana one of the most digitized economies in Africa in the next five years. 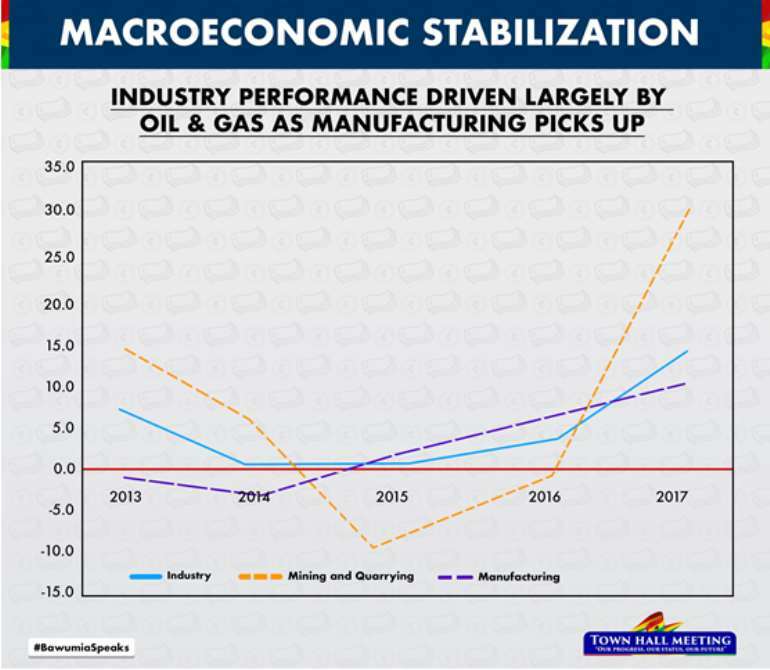 · That is not all, Ghana’s recent oil discoveries could significantly boost production starting in 2021. If the envisaged developments progress without delays, they could potentially double oil production in 2021, to roughly 400,000 barrels-per-day.